The fourth San Diego Comic Con Exclusive item has now been revealed from LEGO! 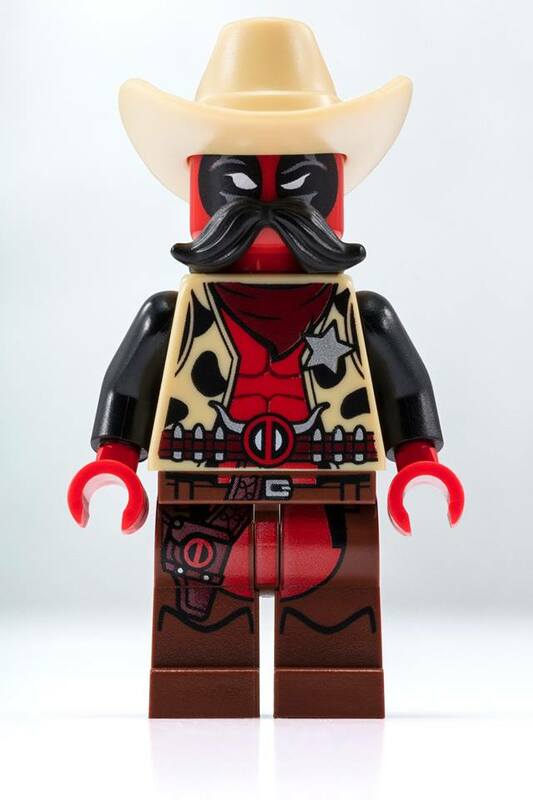 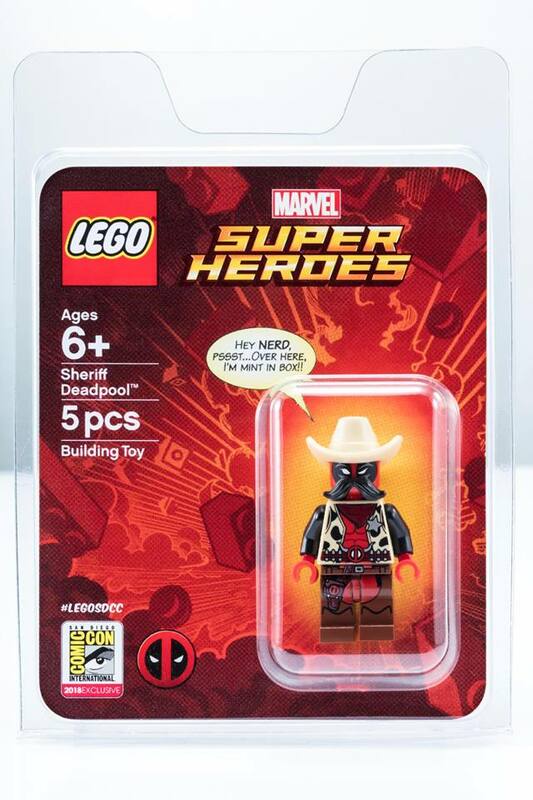 There will be an exclusive LEGO Marvel Super Heroes Sheriff Deadpool Minifigure. From the picture, it looks like he comes with 5 pieces (torso, legs, head, mustache and hat) and is preassembled already.